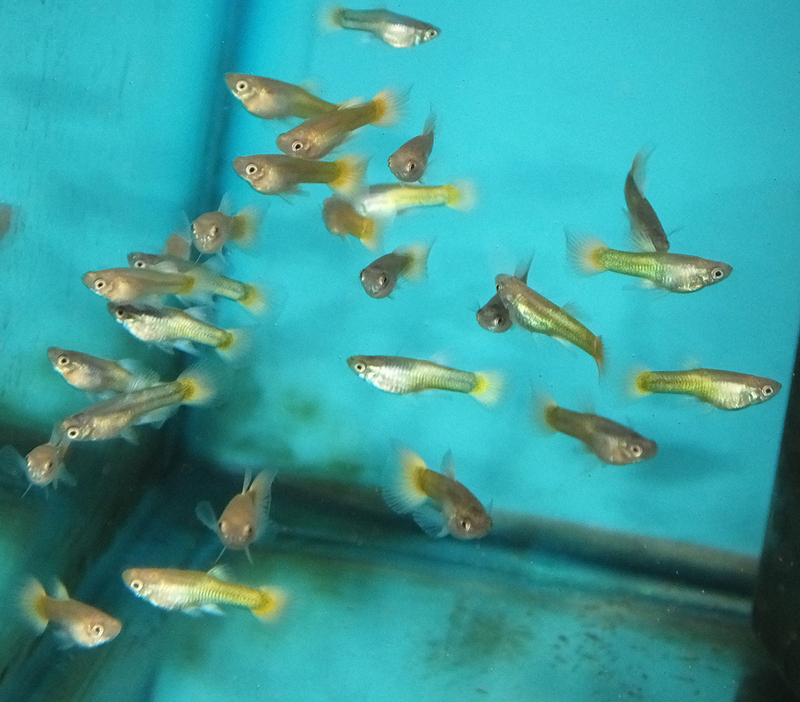 These are AOC males that are just now starting to get some color, a few weeks old. 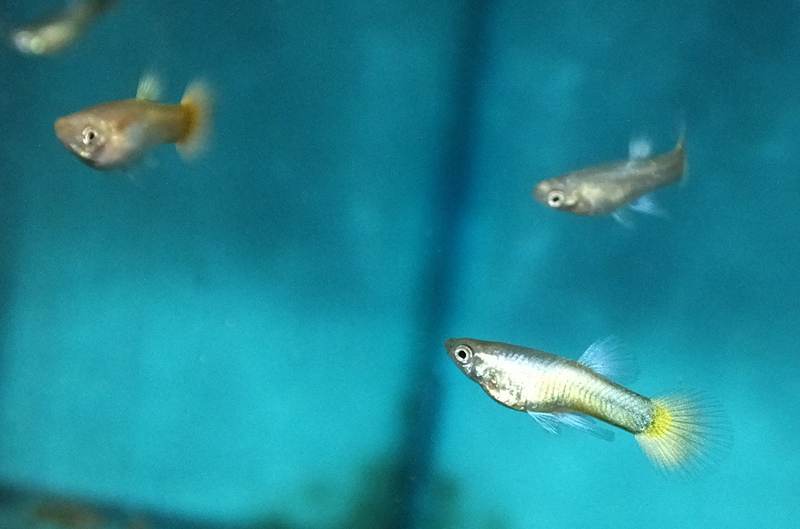 Even though they’re still small, it’s quite a sight to see a tank full of these shiny, golden yellow guppies. I can’t wait to see how this tank continues to develop over the upcoming weeks. 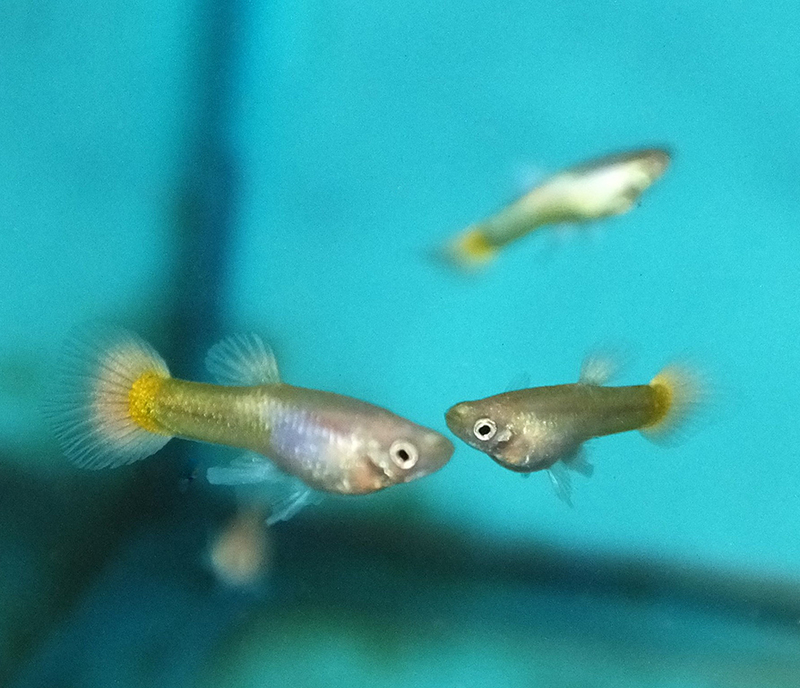 These are the first offspring from a Simeon Bonev line. 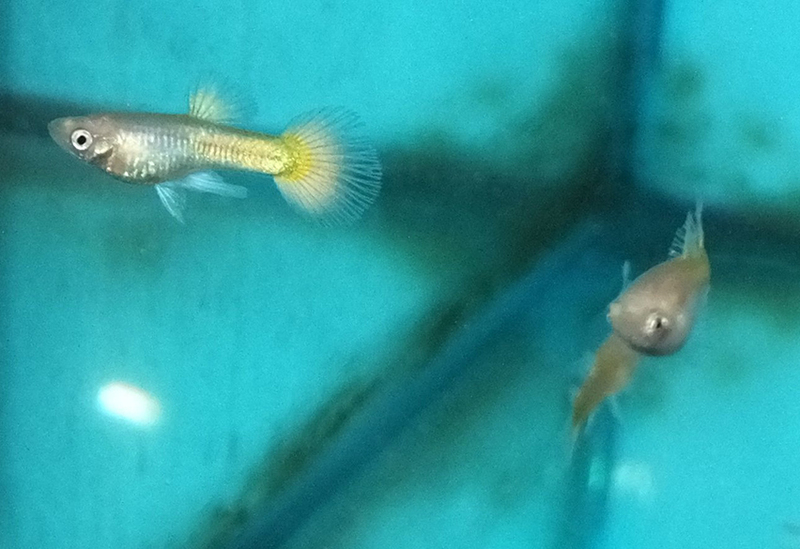 I have a second crop of fry, so these are populating fast around here. The parents are located here.